Chic and Stylish glistening pink, crystal heart shape handbag holder. Our exclusive handbag holder favors a high quality metal link handbag holder embedded with a glistening pink, heart shaped crystal and accented with brilliant crystals around the edge. These handmade favors are more like a work of art that is sure to leave a lasting impression of your special day with your guests, best of all they are practical and useful. 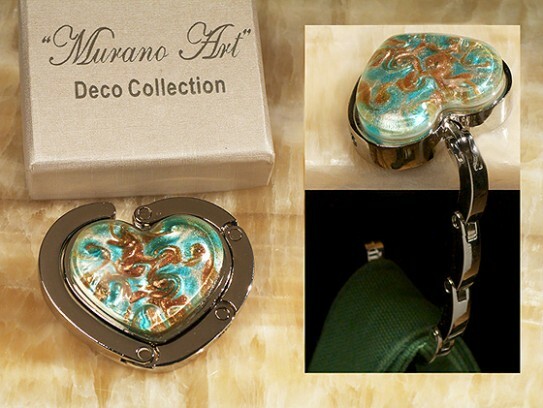 They come packaged in high quality two piece elegant white gift box set in a pillow soft satin lining and it is stamped with our authentic Murano Art Deco Collection in silver foil. Each favor measures approximately 2" x 2". Glamour and Pizzazz, are the perfect words to describe our unique handbag holder favors. Inspired by the artisans of Murano Italy, these handcrafted Murano like glass handbag holders are stunning and will wow your guests with its elegance and style. These unique designed handmade Venetian like heart glass handbag holders are attached to a high quality metal chain link holder. Each glass holder is made with mixture of gold, teal blue and beige swirl design colored glass. These handmade favors are more like a work of art that it is sure to leave a lasting impression of your special day with your guests. Best of all they are practical and useful, each of these fabulous art deco favors are handmade glass, they are truly unique and no two are exactly alike. They come packaged in high quality two piece elegant white gift box set in a pillow soft satin lining and it is stamped with our authentic Murano Art Deco Collection in silver foil. Each favor measures approximately 4" x 2". Style and Pizzazz, are the perfect words to describe our unique handbag holder favors. 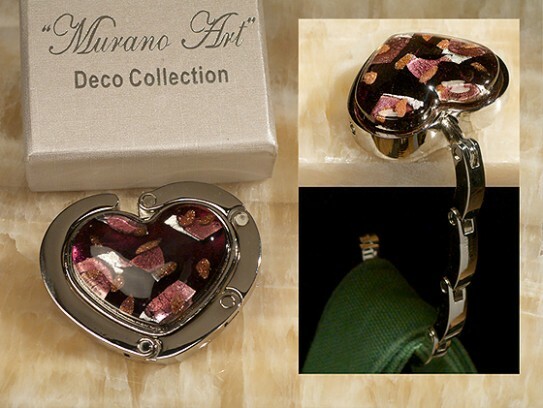 Inspired by the artisans of Murano Italy, these handcrafted Murano like glass handbag holders are stunning and will wow your guests with it's elegance and style.These unique designed handmade Venetian like heart glass handbag holders are attached to a high quality metal chain link holder. Each glass heart is made with mixture of purple, gold and silver flakes design colored glass. These handmade favors are more like a work of art that it is sure to leave a lasting impression of your special day with your guests. Best of all they are practical and useful, each of these fabulous art deco favors are handmade glass, they are truly unique and no two are exactly alike. They come packaged in high quality two piece elegant white gift box set in a pillow soft satin lining and it is stamped with our authentic Murano Art Deco Collection in silver foil. Each favor measures approximately 4" x 2". 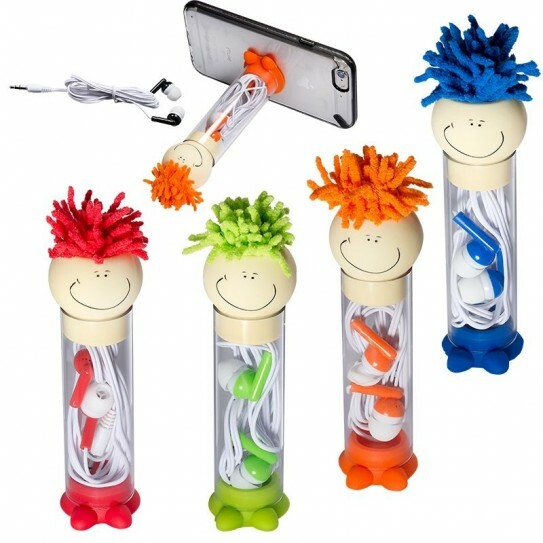 Style and pizzazz are the best words to describe our handbag holder favors. These stylish handbag holder favors are sure to be a hit with your guests. Each metal handbag holder is in a shape of a purse accented with a pink and black leopard pattern. Chic and practical handbag holders are one this year's most popular favors. Each favor comes packaged in an elegant two piece black gift box finished with a white satin ribbon bow and measure approximately 2.25" x 2.25". Chic and unique, these hand bag holder favors will impress your guests. 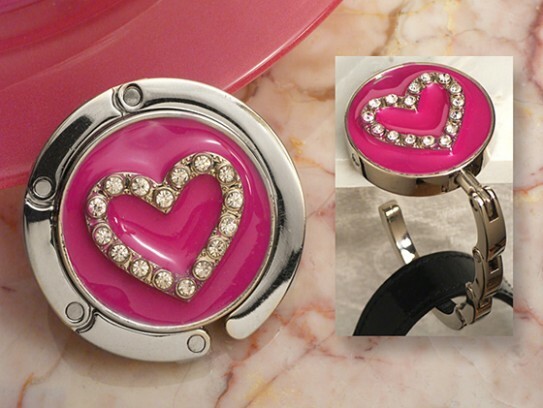 Each of these round metal handbag holders have an elegant pink enamel finish accented with a heart design inlay with perfectly placed crystals. Chic and practical handbag holders are one this year’s most popular favors. Each favor comes packaged in an elegant two piece silver grey gift box and measure approximately 2" in diameter.